A Skelmersdale teenager has been named as the High Sheriff of Lancashire’s Young Citizen of the Year 2017. 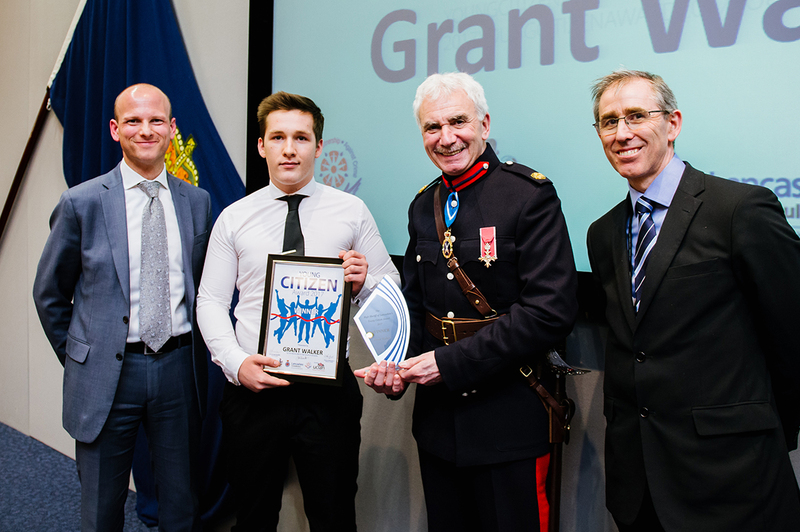 Grant Walker, 18, topped a list of more than 65 young and inspiring people from across the county who have made a real difference in their community. The announcement was made during a special award ceremony at Lancashire Police headquarters in Hutton on Thursday, March 23rd. Grant was praised by judges for his work volunteering to help rebuild a community in the depths of Africa and transforming community gardens in Tanhouse, Skelmersdale, despite personal challenges he faced. 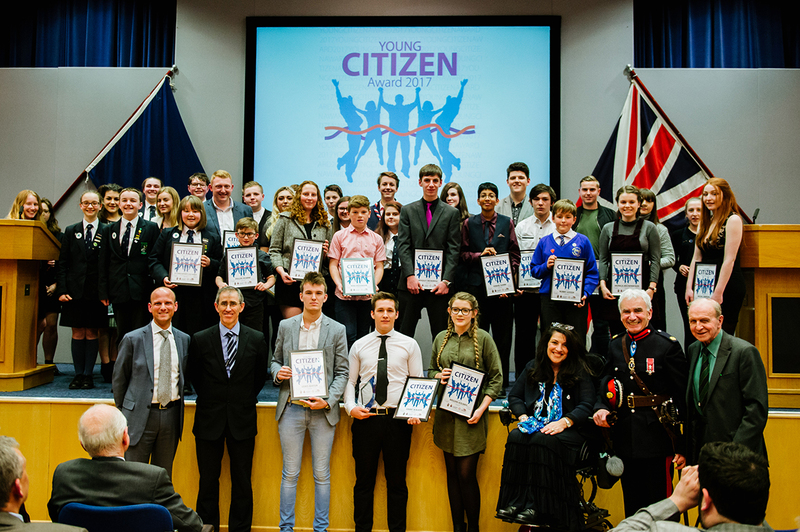 John Barnett, High Sheriff of Lancashire, said: “The Young Citizen of the Year Award promotes young people’s achievements, highlighting the valuable contribution they make to the communities in which they live. “My wife Danielle and I were delighted with the number and variety of entrants for this year’s prize, but, following careful adjudication with the judging panel, we felt Grant was a worthy winner. A panel of judges including the current High Sheriff, the Lancashire Partnership Against Crime (LANPAC); Joel Arber, Pro Vice-Chancellor from the University of Central Lancashire and the former High Sheriff Rodney Swarbrick, who initiated the award, also selected a second and third place. Runner-up Megan Holmes, 12, from Penwortham, was congratulated for her the idea of the ‘hope bag’ which contains items such as hats, gloves, socks, toiletries and foil blankets to be handed out to homeless people living on the streets. Megan came up with the idea whilst out Christmas shopping with her mum when she noticed numerous people who were spending a cold winter night on the streets of Preston. In third place was Lewis Baxter, 18, from Blackburn who was recognised for his work in promoting awareness of mental health and understanding others after previously suffering with depression himself. 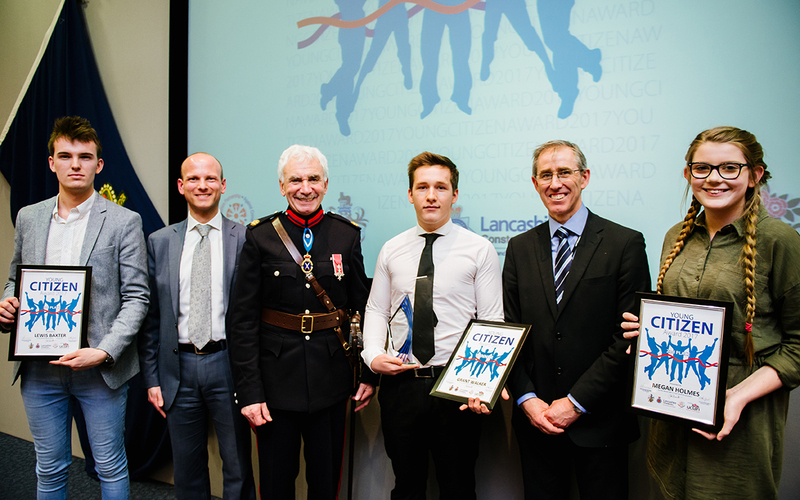 Chief Constable of Lancashire Constabulary Steve Finnigan said: “We are extremely proud of our continued involvement in the Young Citizen of the Year Award and I am delighted that we have been able to host the award ceremony here at our headquarters in Hutton. “I have heard all about the wonderful nominations received and the great work that the entrants have done to support other people and communities – some local, some international – that need it. Joel Arber, Pro Vice-Chancellor from the University of Central Lancashire added: “It’s tremendous to see so many examples of selflessness, initiative, drive and bravery from young people across the county. “It has been truly inspiring to learn of their achievements and the impact they’ve made on the people and communities around them.